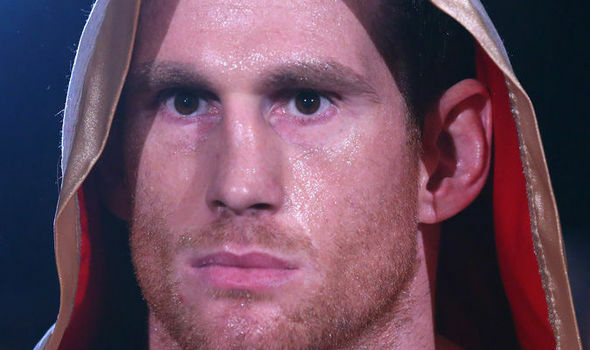 Alexander Povetkin’s most recent victim David Price has warned Anthony Joshua he will need to be on his game to defeat the dangerous Russian on Saturday night. The 35-year-old Liverpudlian, who was laid out by Povetkin in five rounds when the pair met on the undercard of Anthony Joshua versus Joseph Parker at Principality Stadium in Cardiff, Wales back in March, believes the 39-year-old challenger will be fired up for his second crack at the IBF, WBA and WBO world heavyweight titles. “I would say this will be the hardest night of Joshua’s career so far. Povetkin is a top-class operator and a very accurate puncher with fast hands and power,” Price was quoted by the Evening Standard. “He hit me right on the temple when he put me down for the first time in Cardiff and then he got me bang in the same spot when he put me out. “The left hook was straight out of the textbook. “The 80,000 crowd won’t worry him either. He boxed in front of a crowd that size in Britain when he beat me in Cardiff and he has been everywhere and done everything. “When AJ beat Wladimir Klitschko last year, Klitschko was 41 and you have to think he was past his peak. Povetkin is 39 and has looked lately like he might have had enough of boxing after so many years as an amateur and a pro. Price believes the left hook is the punch Joshua should be looking to land against the veteran contender. “He can be caught,” Price continued. “He is open to the left hook. He gets caught with that more than any other punch and Joshua throws that well. The Joshua-Povetkin fight will pit two Olympic gold medallists again one another, a rarity in boxing. Povetkin is the super heavyweight champion of the Athens Olympics in 2004 while Joshua triumphed in the same weight class eight years later in London. It is this amateur pedigree that make him such a dangerous proposition, according to Price. “He’s technically brilliant like so many who come through the amateur system in Eastern Europe,” said Price.